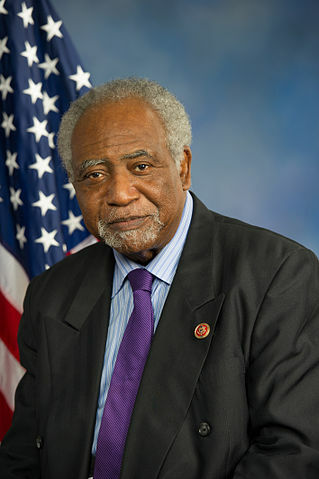 Official portrait of Danny K. Davis, for the 113th Congress. Asserting that Maywood branch of Aldi’s grocery store is the only grocery in the community, a group of politicians and community activists gathered to try and prevent the closing of the store, scheduled for Christmas Day. Democratic Representative of the 7th District, Danny K. Davis was still hopeful two days before the scheduled closure that something could be done to prevent the loss of the business to the community. The Reverend Jesse L. Jackson, Sr., was also there, explaining that the closure will just make the present “food desert” even drier, mentioning that this is an especially vital issue for the black community. The gathering was organized by Cook County Commissioner Richard Boykin, who called for a press conference outside the store. In addition to Davis, the mayor of Maywood Edweena Perkins, Reverend Marvin Wiley, Bill Hampton, brother of dead Black Panther leader Fred Hampton), and community residents were also on hand. “I understand based on the meetings we had with Aldi, why they are closing,” said Boykin. Boykin explained that Aldi’s decided to close because shoppers were hardly coming to the store. For the last ten years, this store had the lowest shopper rate per day than any of its other stores in Cook County. Add the 80 percent rise in property taxes over the past six years, and its easy to understand the company’s decision. “I did get a commitment from them to provide a transportation shuttle from the Village of Maywood to Aldi’s other three stores located in Broadview, Melrose Park, and Bellwood beginning on December 26th,” said Boykin. The shuttle will be available to take shoppers to one of the other three stores in the area on Mondays, Tuesdays, and Wednesdays.